Back Office Pro (BOP) is a reputed back-office service provider catering specifically to professional photographers and photo studios with image clipping support, in times of influxes or skill shortages. 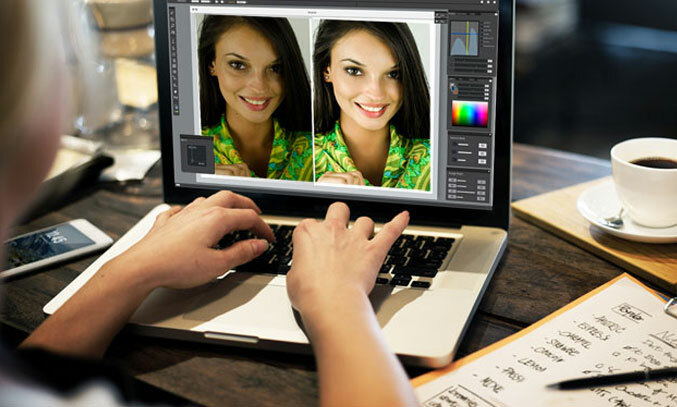 When you outsource image clipping to Back Office Pro, our professional image editors clip images of any size or complexity and deliver high-quality, precision editing that meets your image editing volume as well as quality parameters. Ability to refine image edges, handle noise, adjust contrast, correct blur, etc. Clipping Path Our skilled resources are adept at creating clipping paths that are perfect for hard-edged products, drop shadows, reflections, spotting (removal of blemishes), invisible man effect, image enhancement, simple retouch, color correction, cleaning, removing creases, airbrushing,etc. Remove Background We remove backgrounds from images, including white backgrounds and make backgrounds transparent to focus solely on the subject of the picture. E-commerce Marketplace Guidelines At BOP our expert image editors change any background to a white background or transparent background to aid online sales for marketplaces like Amazon, e-bay,etc. Automobile Image Clipping We extend exclusive automobile image clipping services to automobile dealers and auto magazines enabling them to showcase their products and services. Hair Masking You can receive services such as hair replacement, photo enhancement, etc. to ensure a professional, high quality finish. Background Color We efficiently convert any background into a white, transparent or any solid color background. Background Replacement We edit image backgrounds or replace existing backgrounds with a new one to highlight the subject of the picture or to remove distracting detail. Natural Shadows and Reflections Natural shadows enhance a photo, making the subject pop on the page. We work on oval shadows, drop shadows, reflections, and cast shadows. Color Correction We adjust and tune white balance, brightness, shadows, highlights, color temperature, and saturation to make otherwise lackluster photos. Cropping, Rotating & Straightening Skilled image editors ensure each image is correctly aligned. We rotate images in steps of 90 degrees or fine-tune the rotation angle to get the result just right. Next, crop and align the result vertically taking shadows into account. Precise Manual Clipping: Our clipping paths are done manually and with extreme precision. Professional image editors extract desired images from their backgrounds without smudging or losing any portion of the image. Affordable Bulk Clipping: When you opt for BOP’s clipping path services, a high-cost advantage enables bulk clipping at the most affordable prices. Simple to Complex Images: At BOP we manage simple clipping path projects where images have smooth and straight edges, as well as complex expert projects that contain images with rough, uneven and curved edges. Accurate Clipping: We accurately trace the clipping path and then extract the image, offering clipping paths with shadows and reflections. Shadows give images a realistic effect, and reflections provide a 3D touch. Clipping for In-Design: At BOP our photo editors are adept at using clipping paths for In-Design as In-Design also requires clipping paths to ensure that only a part ofthe image appears through a particular shape created. Better Online Marketing: Transparent or white background images are perfect for online store usage. Clip Any Volume: Quickly and efficiently clip any volume of images of any size in 24 hours (dependent on project complexity). At BOP, our expert editing team assists with superior back office image clipping support during skill shortages or project influxes, contact us. Fill in our contact form, call us or email us today. Tell us your requirement and receive a free quote within one business day.